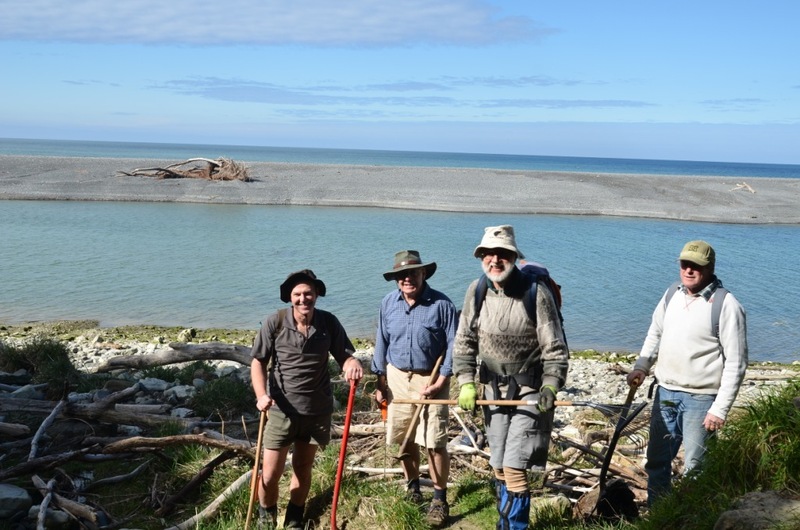 DOC staff at Canterbury’s Mahaanui Field Base, used a team-building exercise to bring the Manuka Bay Walkway back to life. 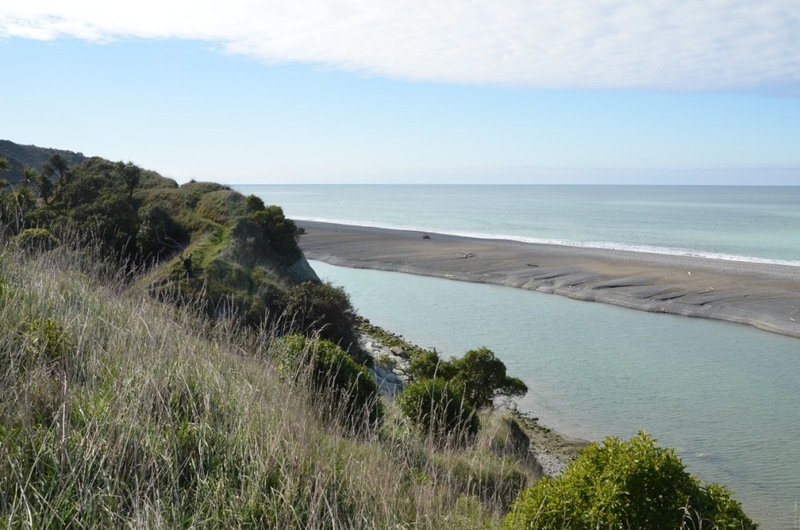 The Manuka Bay Walkway runs from the Hurunui River mouth to Manuka Bay in North Canterbury. The 5 km long jaunt is typical of many local tracks—highly valued by the local community, who appreciate its coastal vegetation and stunning vistas—but less well known by people from further afield. For a number of years the walkway fell into disrepair because access to the Hurunui River end was blocked by a landowner. However the property recently changed hands, and an easement is now in place to restore public access. 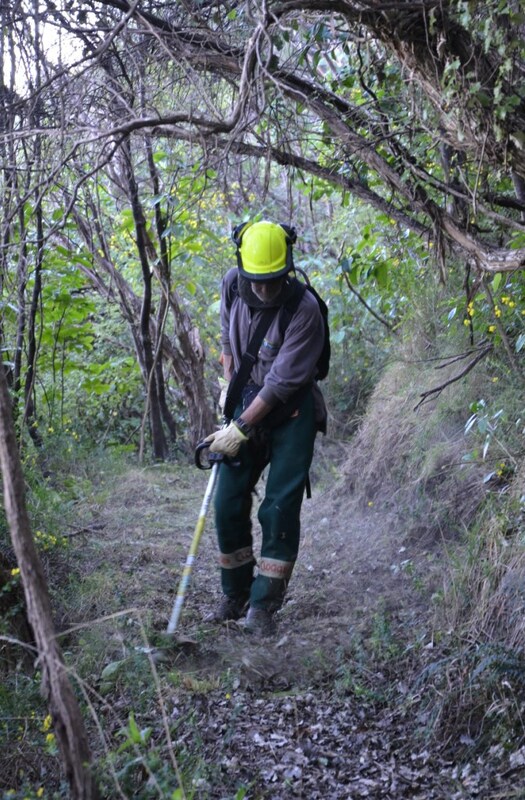 This is all well and good on paper, but the reality of bringing an overgrown track back to life was a daunting prospect for local Ranger, Tony Woods. A call to our neighbours at DOC’s Waimakariri office—who are blessed with a large recreational asset team—secured enough assistance to re-open the walkway, but it was clear that more work was needed to bring it up to standard. So the idea of a large-scale assault came up. It was branded as a “team-building exercise” but in reality it was a dirty trick to use some of our biodiversity team human resources to tackle the challenge. 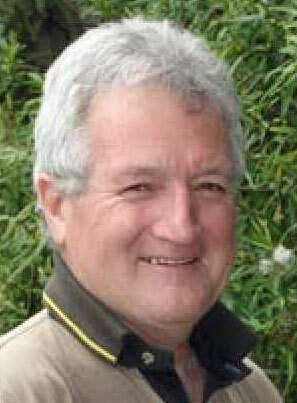 DOC Ranger, Alan McDonald, suggested that we make use of his contacts in the local community to bolster the numbers further. now we will get some work done! 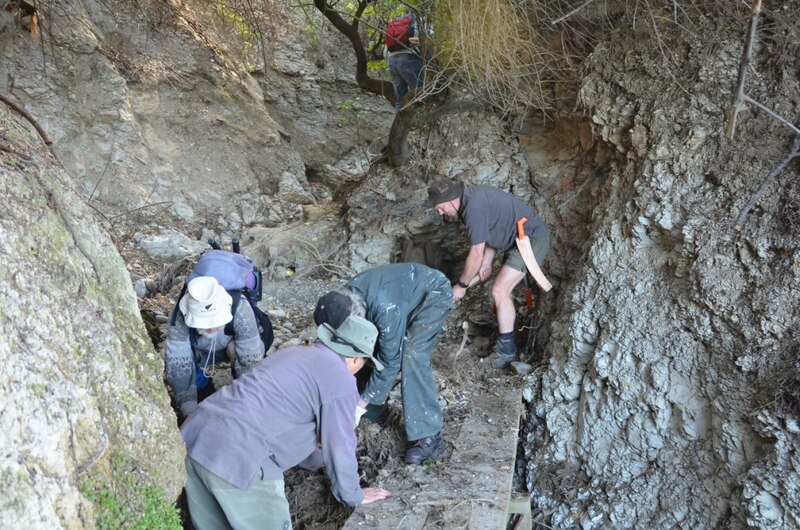 In late August it all came together when 12 Mahaanui team members and six volunteers from Gore Bay, Manuka Bay and Cheviot, tore through the track like a herd of wildebeests, doing more work in two days than Tony Woods could have managed in months. Although a few finishing touches are needed, the track looks a million dollars and the feedback from the local community has turned from mild criticism (“when are you going to get around to re-opening our track?”) to effusive praise. Some of our volunteers plan to return to trim weeds and start a pest trapping programme now that access has been restored. Nice work DOC, it’s a great spot.